United states of America is my beloved country, and I would go all the miles long for the betterment of my country, I sound like a patriotic man. 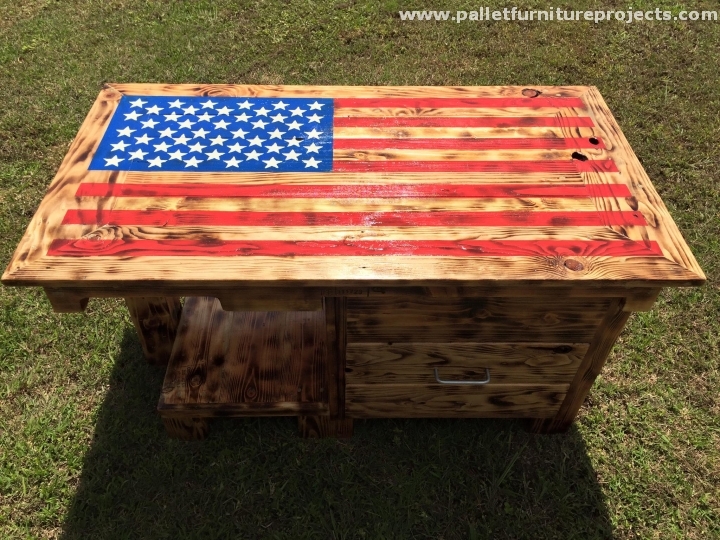 But have you ever heard of a patriotic table? Definitely you wouldn’t have heard it before, because we are the ones who do such crazy pallet creations. So before you get over exhausted, we are presenting here a three legged pallet coffee table. But just like all other pallet wood tables, this would be pretty different in its shape and over all appearance. And we are going to make it look like a patriotic table in a certain way. There was a time when I was literally scared of buying some wooden furniture item from the market. This always proved to be a rift between me and my wife because she is always willing to keep bringing some changes in the home setting. She loves to make insane experiments and she is just obsessed with wooden furniture items. She wants that everything must look pretty perfect and that is impossible without an expensive furniture range inside house. But this pallet thing has really given me a sigh of relief. So the table we are talking about today is a bit different appearance wise. 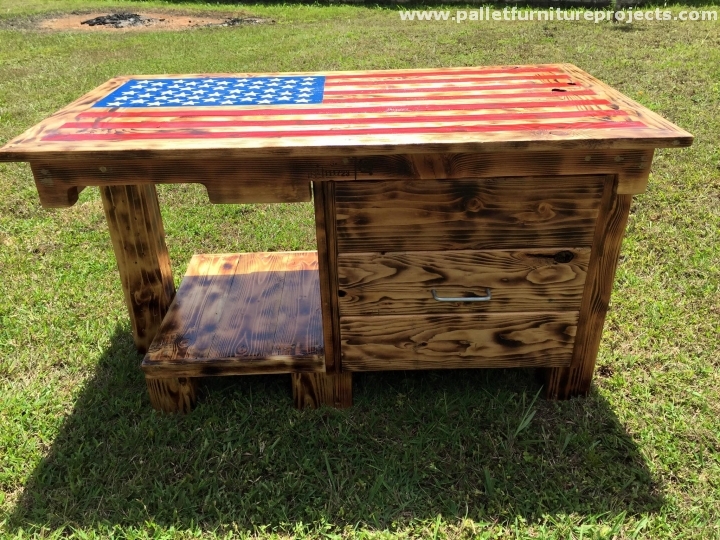 It is carrying my country flag on the top that makes it a patriotic table symbolically. And not just the table but me also. As far as its design is concerned, we see a huge difference there too. It has got unconventionally three legs, one of them is pretty thick. It has got a little table beneath as well. Thus it becomes a perfect outdoor accessory. 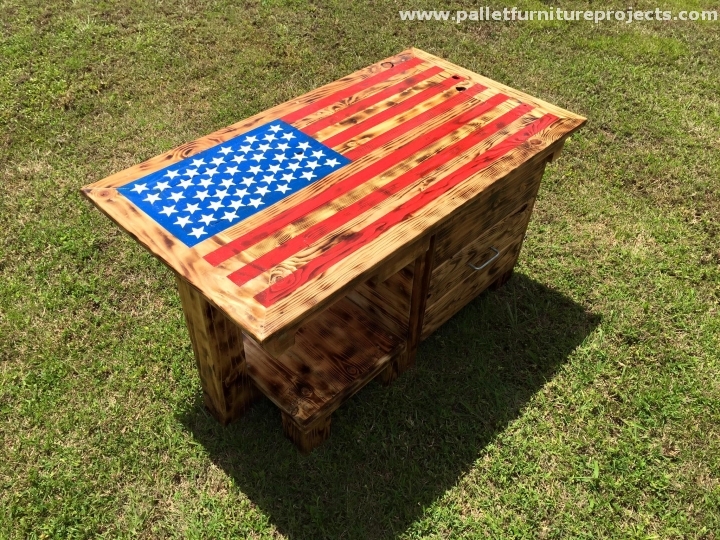 Its pallet wood makes it durable enough to counter all the extreme weather conditions. 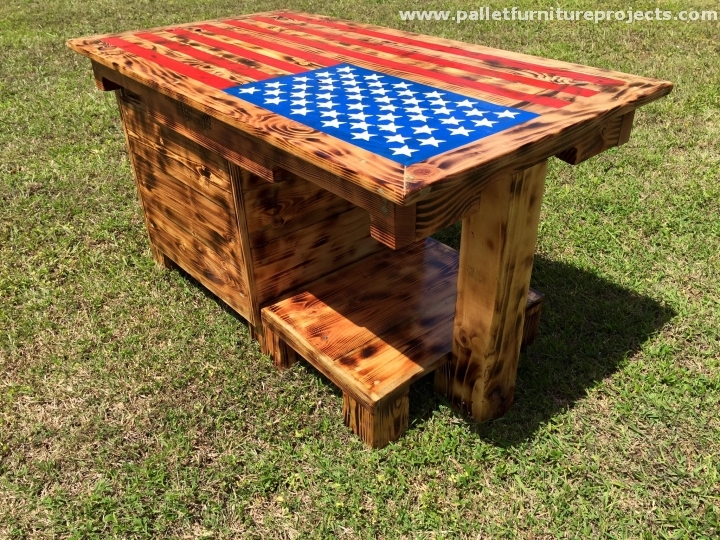 You can also use this three legged patriotic table as a coffee table as well.